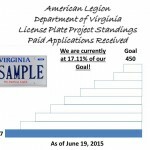 The Virginia License Plate Project has entered into the next phase! 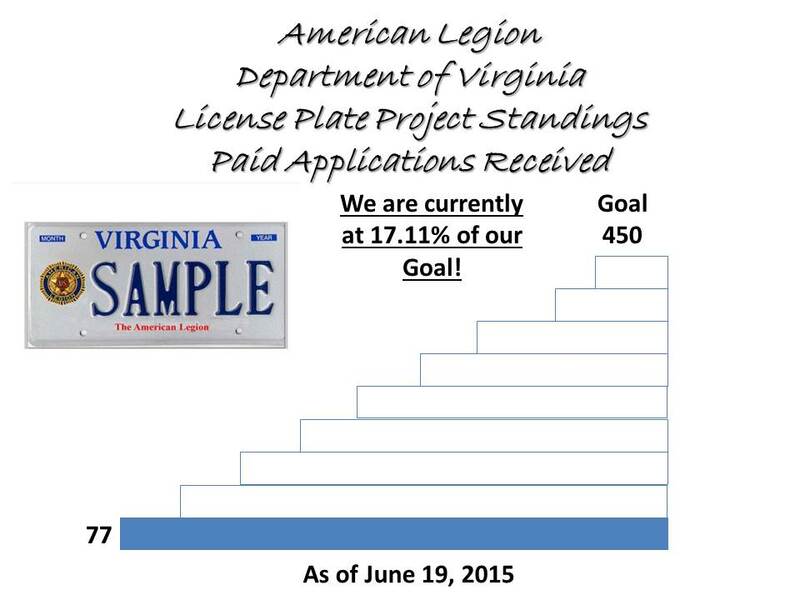 Since we have over 450 requests for American Legion License Plates, we are now accepting the actual Virginia DMV applications with checks for the applicable fees! Once we hit 450 applications we will be sending to DMV to have the plates ordered. If you have not already submitted your DMV application and check, please do so today!